This article, written by a close sympathizer in the US, looks at the adoption of “identity politics” by the left wing of the bourgeoisie – an international phenomenon, but one which, for historical reasons, has reached a particularly advanced level in America. The endless divisions created by this kind of politics are certainly a means for exacerbating divisions within the working class, but they can also bring numerous problems for the bourgeoisie, whose control of the political apparatus is growing less and less secure. When asked what the greatest achievement of her time as Prime Minister of the United Kingdom was, Margaret Thatcher once quipped it was how she forced the Labour Party to change. By this she meant that even though Labour defeated the Tories in the 1997 election, the party that took over government was no longer the old “social democratic” institution it was when she took office a decade and a half earlier. It had been transformed during her time in office into New Labour, a party thoroughly committed to the neo-liberal consensus. When the light finally goes out on Donald Trump’s Presidency, one wonders if a similar thing might be said about him. Will the most meaningful effect of his time in office be a change in the political face of the Democratic Party? Has Trumpism had something of the opposite effect of Thatcher’s domestication of Labour, “radicalizing” the Democratic Party to such an extent that the old slightly left of center party of Bill Clinton and Barack Obama has now become a “socialist” party moving ever so dramatically to the left? Will the Republicans, after a decade of Tea Party rage and the rise of Trumpist populism within its ranks, start to look like the rational adults in the room to the suburban core of the American electorate once again? Obviously, reality is quite a bit more complicated than this emerging media narrative would suggest. As quantum mechanics teaches us, causality can often be difficult to parse out. If the Democrats’ apparent lurch to the “left” is one of the unitentended effects of Trumpism, it is nevertheless the case that Trump himself is an effect of even deeper historical, social and political forces that precede his candidacy. Moreover, the narrative of the Democratic Party moving steadily “leftwards,” towards “socialism,” conceals a number of contradictions permeating the political and social field today that makes the Democratic Party’s electoral coalition extremely volatile and increasingly prone to internal strife. If the opposition, or “resistance,” to Trump, keeps the party united on the immediate need to end his Presidency in 2020 (or sooner), this only hides deeper fractures that are likely to erupt as soon as the next Democrat assumed the Presidency. In the 2018 midterm elections, Democrats rode popular revulsion at President Trump to a stunning take over of the House of Representatives. The Democrats were able to capitalize on a wave of female candidates running for office in something like a “Me Too” repudiation of Trumpist disdain for women. Nancy Pelosi, who is now painted by the media as a kind of second “Iron Lady,” is once again Speaker of the House. The Democrats had no hesitations about selling their candidates in the terms of “identity politics.” The freshman class of representatives elected on the Democratic ticket was the “most diverse ever,” they have frequently reminded us, representing a stark rejection of all the bad “isms” that Trump represents. Among the freshman class of representatives are: Rashida Tlaib (Palestinian-American from Michigan), Alexandria Ocasio-Cortez (a New Yorker of Puerto Rican descent, who unseated the fourth ranking member of the Democratic House delegation in a primary), Ayanna Pressley (African-American from Massachusetts, another primary victor over an establishment Democrat) and Ilhan Omar (Somali-American from Minnesota, who often proudly wears an hijab to work in Congress). Some of this group, who call themselves the “Squad,” describe their politics as “socialist,” others as mere “progressive,” but all readily engage in the celebration of their “identities” as core features of their politics and the meaning and purpose behind their lives and work in Congress. If the stunning primary victories by leftists like Ocacio-Cortez and Pressley, and the subsequent media attention they have received, undoubtedly worry establishment Democrats, they nevertheless welcome the opportunity to promote these young “women of color” as evidence of their party’s moral opposition to the Trump administration. They have repeatedly reminded us that their mid-term election victory made history by bringing the first two female Muslims to the halls of Congress. In February, Pelosi herself appeared in a photo op with members of the Squad for the cover of Rolling Stone magazine. What better contrast to the Trump administration could the Democrats’ make than to champion their new and highly diverse crop of freshman legislators that include members from communities Trump is said to hate: Hispanics and Muslims. Condemnation from senior Democrats was again swift, with Eliot Engel the chair of the House Foreign Relations Committee (on which Omar sits) denouncing her latest comments as “vile anti-Semitic slurs.” Momentum built over the weekend of March 2nd for a formal House resolution rebuking anti-Semitism, but curiously early in the next week a delay in bringing a motion to the house floor suggested the Democratic caucus was far from united on what to do about Omar’s latest comments. Moreover, this time Omar did not back down. She issued no apology. Realizing that much of leftist social media had her back, she appeared ready this time to fight the Democratic leadership over the issue of support for Israel, backed up by an emerging consensus from leftists that she was being unfairly targeted for correctly denouncing Israeli policy and Israeli influence in Washington. What started as a brief delay by Democratic leadership to “get the language right” on the resolution, turned into a veritable political debacle for the party leadership by mid-week. Legacy media began to worry that Pelosi was losing control of her caucus, while more credentialed commentators fretted a coming “Corbynization” of the Democratic Party. A near rebellion ensued, led by “progressives,” angry from their perception that justified criticism of Israel and its lobby in Washington were being considered “anti-Semitic,” and the Congressional Black Caucus (CBC), dismayed over what looked like an attempt to gang up on one of their own. Both groups balked at leadership’s attempt to bring a resolution calling out Omar and specifically denouncing anti-Semitism to the House floor. Voices within the party begin to emerge defending Omar, including House Majority whip Jim Clyburn, who suggested Omar’s comments must be understood in light of her experience and pain as an immigrant refugee. Presidential candidates Kamala Harris worried about Omar’s safety after posters connecting her to the 9/11 terrorist attacks appeared in the West Virginia State House and even Bernie Sanders opined that Omar was being unfairly targeted for criticizing Israel. Media star and socialist celebrity Alexandria Ocasio-Cortez jumped to Omar’s defense, suggesting that any denunciation of anti-Semitism that did not also denounce the anti-Latino bias of Immigrations and Customs Enforcement (ICE) should not go forward. Apparently, there was now a political dynamic afoot in the Democratic Party that makes an outright rejection of perceived anti-Semitic tropes controversial, without watering it down into a near meaningless condemnation of all things bad. There was simply now no consensus to condemn the specific act of questionable comments from one of their own Congresswomen, without denouncing all forms of bigotry. The immediate drama concluded with the House voting on a broad condemnation of multifarious forms of “hate,” not specifically mentioning Omar. Over 20 Republicans voted against the measure, with most denouncing it as a cowardly farce. Days later, in typical Trumpian overstatement, the President pronounced the Democrats were now an “anti-Jewish” party. Whatever the President’s hyperbole, this episode certainly reveals growing tensions within the Democratic Party’s political and electoral collation. The Democrats, whatever their continued united opposition to Trump, appear more and more fractured. With each episode of intra-party fighting, they begin to resemble a loose coalition of competing interest groups suspicious of one another, held together only by the flimsy sticky tape of anti-Trumpism. Barely two months after retaking the House, with a Presidential election against an extremely unpopular President on the horizon, the Democrats are having trouble containing the inevitable political fissures resulting from an increasing reliance on “identity politics” as their legitimating ideology. In the span of just several weeks, Omar’s tweets and recorded comments, from 2012 to the present, ran the gamut from accusing Israel of pulling off mass hypnosis, to suggesting that the American government was bought off by Israeli-Jewish money and accusing those who support Israel of having “dual allegiances.” Earlier Congresswoman Tlaib had also made suggestions of conflicted loyalities. Nevertheless, it is also clear that the recent row in the Democratic Party over anti-Semitism is only the latest episode in a growing trend towards such provocative anti-Israel activism in the name of “anti-imperialism” emanating from elements associated with the left-wing of the left-of-center parties in major Western states. The long campaign over anti-Semitism in the British Labour Party is the best-known example, which the ICC has previously analyzed here. However, what is most important in the recent controversy surrounding the Democratic Party is the extent to which the underlying ideology of “identity politics,” which has formed the core of the party’s message for some time, has now seemingly come back to bite it in dramatic fashion. With the ascendancy to power of Bill Clinton, backed by the Democratic Leadership Conference (DLC), in the early 1990s, the Democratic party’s underlying ideological justification began to shift away from being the “party of the working class,” in close alliance with the unions, towards becoming the party of educated professionals in alliance with minority and immigrant communities. Although the Democrats have retained the formal alliance of most unions, the party has been hemorrhaging electoral support from blue-collar whites since at least the so-called “Reagan Revolution” of the early 1980s. The Presidencies of Clinton and later Obama cemented this process, so that by the time Hillary Clinton was nominated for the Presidency in 2016, the Democrats had largely become the party of professionals that eschewed economic messaging towards the working class in favor of promoting racial, ethnic, gender and other forms of identity “diversity” and “equity” and championing the rights of immigrants. The Democrats’ underlying ideology became less about advancing economic programs for improvement of all and more about leveling the playing field in the neo-liberal meritocratic quest for self-improvement. Universal programs were generally frowned upon, while racially targeted measures to supposedly “set the playing right” became the party’s focus. Barack Obama’s abandonment in office of universal “Medicare-for-All,” in favor of a convoluted private health care delivery system enforced through an individual mandate—a plan originally designed by policy wonks at the free-market Heritage Foundation and championed by Republican Governors—demonstrated the priorities and commitments of the Democratic establishment. Democrats became the party of the “risk society,” albeit one that was supposedly balanced towards equality of opportunity for all the diverse identity groups that now make-up American society. This turn was theorized in 2002 by the political scientists Ruy Teixeira and Jonathan Judis, whose book The Emerging Democratic Majority, laid out a strategy for building an unassailable electoral majority to rival FDR’s New Deal Coalition. This involved appealing to the young, professionals and the traditionally marginalized elements of American society, who it was argued would only grow in number, primarily as a result of increased immigration. Not surprisingly, by adopting such a “demographic strategy,” Democrats only hastened the flight of blue-collar whites to the Republicans. While enough of these voters remained loyal to the party to help elect Obama in 2008 and 2012 in the midst of economic crisis, the apparent betrayal of their interests by the Democratic establishment in the post-crisis years led to an increased openness to the kind of populism trafficked by Trump. When Hillary Clinton referred to Trump supporters as “deplorables,” in the 2016 campaign, it only confirmed for many working class whites that the Democratic Party would not advance their interests. Meanwhile, as the Republican Party was transformed by Trump in a populist direction, taking up the economic and cultural grievances of the Rust Belt working class, the Democratic Party was accelerating into a headlong flight into “identity politics,” backed up by academic theories of so-called “intersectionality.” In the intersectional worldview, the multifarious identity grievances are supposed to overlap with one another to produce a kind of coalition of the oppressed against white male privilege and to advance the recognition of sub-altern identities. In this worldview, standing up to speak about oppression is a function of certain innate qualities of individuals that give them moral authority to express the interests of the group identities they claim. The more sub-altern identities one can assert, the more authority one has to speak, and the more personal virtue as a multiply oppressed person one is regarded to hold. Oppression of one’s identity becomes a road to a kind power—a power to speak and define the terms of politics that only the oppressed can have as a function of their “lived experience.” The world is thus divided into oppressors and oppressed in concrete life situations that grant deference to the rights and power of the oppressed to “speak their truth” to power, whether on the stage of national politics or on the micro-level of daily interactions in the lifeworld or in cyberspace. Intersectionality has long had its academic critics who often derisively describe it as a kind of “oppression Olympics,” and point out the practical difficulties of mitigating just who is an oppressor and who is oppressed in the real world. Moreover, what happens when different kinds of oppression, rather than overlapping, actually come into conflict with one another? Which claims take priority? However, now, within months of taking power in one house of Congress, the contradictions of this approach are already on full display. Many Democrats who supported Omar initially rejected the idea that her comments were really anti-Semitic, asserting instead that they were reasonable criticisms of Israel and its role in US politics. Of course, this kind of interrogation of claims against a standard of objective reasonableness would seem to violate one of the cardinal rules of intersectionality: it is the oppressed and offended group alone that gets to decide what is offensive speech. Nobody else has the “lived experience” necessary to make this judgment. The fact that there were Jews who defended Omar would not really matter. If some quorum of Jews believed her comments were anti-Semitic, their judgment must be accepted as right. There is no Archimedean point outside of the oppressor-oppressed relationship from which a kind of objective reason can be exercised to pronounce on the legitimacy of the outrage. We must listen to the oppressed and offended group and defer to their judgment. Omar herself seemed to recognize her conundrum at first, walking back her original comments about the role of AIPAC and apologizing for her comments about hypnosis. But then the intersectional absurdities of the situation hit a new level after Omar’s recorded comments denouncing “dual loyalties” emerged. Faced with a second round of criticism in the span of a week and the threat of an official House resolution denouncing her comments, Omar decided not to apologize this time, but instead play the victim herself. She and Congresswoman Tlaib were being unfairly signaled out for criticism because they were Muslim. Attacking perceived anti-Semitism was thus itself Islamophobic, when it is Muslims making the allegedly anti-Semitic statements. In a particularly damning illustration of the conundrum into which intersectionality had apparently driven the Democratic Party, Congressman Clyburn defended Omar by comparing her “lived experience” of oppression as a Somali immigrant and former resident of a refugee camp in Kenya to the “lived experience” of Holocaust survivors. Perhaps without knowing what he was doing, Congressman Clyburn—an old school African-American Democrat unlikely to be particularly well versed in the academic intricacies of intersectional theory—confirmed what many had suspected all along: the controversy wasn’t just about Israel and its policies, it was also about the comparative moral weight of Muslim vs. Jewish trauma and pain. For Clyburn, Omar’s pain was more powerful because it was more recent. Jews were now far removed from the historical reality of the Holocaust. Their group trauma and pain could not compare to Omar’s as a Muslim refugee. Islamophobia thus beats out anti-Semitism in the oppression Olympics and assumes a higher place in the hierarchy of pain and suffering. Of course, just what Omar’s pain as a refugee had to do with her statements was never made clear, other than it may have influenced her poor choice of words somehow. In defending Omar, Clyburn also infantilized her as someone whose personal experience as a sub-altern meant she should not have to take full moral responsibility for having harmed some other oppressed group, whose oppression wasn’t quite so bad anyway. Of course, this only begged another troubling question: can the oppressed also be oppressors in their own right? Congressman Clyburn’s remarks were revealing in that they demonstrate that in order for Omar’s questionable comments to be mitigated, they either have to be explained away as the effect of some kind of trauma or they have to be placed above the absurd competition of different oppressed groups. One way to do this, which has now been adopted by many of the bourgeois left, is to proffer that Jews are no longer a really oppressed group anyway. In this view, Jews are accepted as “white” in most Diasporic locations and have now, centuries of anti-Semitism aside, become oppressors themselves, as evidenced by their communities’ support for and loyalty to the state of Israel—a state that engages in the ruthless oppression of the Palestinians and its internal Arab minority, violates human rights constantly and has become for all intents and purposed an “apartheid state” in own right that must be overthrown. This is where the connection between the policies of Israel are tied back to the various Diasporic Jewish communities, through their ability to influence foreign policy in their nations of residence in favor of the Israeli apartheid state, through campaign contributions and other motivated uses of “Jewish money.” Jewish communities’ ability to serve as a kind of “fifth column” of Israeli influence in their nations of residence, something the South African apartheid state couldn’t really rely on, is what makes their loyalties open to question. Delegitimizing Israel is thus the intended purpose of the so-called Boycott, Divestment and Sanctions Movement (BDS), which seeks to use the model of the struggle against apartheid in South Africa to delegitimize Israel in international public opinion, deprive it of critical support from the West and force it to abandon its supposed policy of “Jewish Supremacy.” The fact that Israel was itself ostensibly founded as a sanctuary for the oppressed Jewish people following the Holocaust is no longer relevant. In line with Congressman Clyburn’s relative minimization of Jewish pain, BDS supporters suggest the Holocaust can no longer be seen as a legitimate reason to support Israel; the moral authority granted from having been the victims of genocide has long been rendered moot by the Israeli state’s subsequent actions against the oppressed Muslim and Arab populations of the region. Unsurprisingly, the BDS movement has proven hotly controversial. Popular on many college campuses, it still does not count many supporters in the halls of power. Senior Democrats like Senate Minority Leader Chuck Schumer and Senator Ben Cardin loudly oppose it, even sponsoring legislation to penalize companies who advocate it by forbidding them from getting government contracts. Many of BDS’s opponents see it as a thinly veiled attempt to erase the Jewish state from the map - considered to be the anti-Semitic act par excellence. While Democratic Presidential Candidates, especially Bernie Sanders (himself Jewish), have recently increased their willingness to criticize Israel, none has yet endorsed BDS. Although with the election of Omar and Tlaib, there are at least two proponents now in Congress. Clearly, many people today are increasingly and rightly concerned about the condition of the Palestinian people and the overall nature of Israeli policy. As communists that believe in objective standards of reasonableness, we confirm that it is not in itself anti-Semitic to criticize Israel. But it is also the case that the increasing polarization of society around these issues may be pushing otherwise well meaning critics to seek less than savory allies and to make excuses for those who cross the line into questionable tropes out of a pressure to support one’s perceived anti-imperialist team. There is little reason to expect these trends to mitigate. With President Trump attempting to exploit the turmoil in the Democratic Party over this controversy and to make support for Israel a partisan issue, it is likely that the rancor will only increase, tempting others to cross the line from real criticism into questionable tropes. It is unlikely that this episode will result in major electoral effects right away: Jews are mostly reliable Democratic voters in the US and it is unlikely many will switch to support Republicans due to outrage over what remains a phenomenon largely isolated to the “progressive” wing of the Democratic party. Nevertheless, it is the case that this episode reveals the tensions and cleavages emerging in the Democratic Party and the real instability and fissures that result from attempting to construct a governing ideology out of identity politics and intersectionality. While for now, Bernie Sanders has been obliged by his own political vulnerabilities in the Democratic primary around race and identity issues to support Omar, it is also clear that intersectionality is not his kind of politics and that he is seeking to rebuild the party’s message along a more class-based populist position that champions universal uplift, refashioning the party along social democratic lines and restoring the classic left-right divide in bourgeois politics in the hopes of building a more durable electoral coalition. Nevertheless, given the depth of the cleavages in the party today, it is not clear if this vision is the right message to make it through a Democratic primary. Sanders has already been attacked for being “insensitive on race.” As a result of these attacks, he risks overcorrecting — delving into racial disparity discourse, championing his new campaign’s diversity and inclusion, etc. — diluting the universal message that would appeal to the blue collar whites he needs to win in the general election. However, Sanders problems come not only from the cynical deployment of identity politics against him by the Democratic establishment. Many of Bernie’s most die hard “millennial socialist” supporters are also the most committed to identity politics and intersectionality. Bernie thus must placate this section of his base in the primary, hoping to pivot to more universalist and economic populist themes in the general election. Whether or not this will prove a successful strategy is unclear, but we can say is that it is unlikely that any Democratic candidate who might win the Presidency in 2020 will have the kind of New Deal electoral coalition at their back, that FDR once did. The tensions and the fractures within the neo-liberal body politic run too deep. What this episode of supposed anti-Semitism in the Democratic Party really shows us is that there are no pure figures, no saintly candidates and no especially virtuous group identities in bourgeois politics. As capitalist society more and more devolves into competing identitarian claims as a result of its inability to offer a truly universal human perspective, it more and more attempts to trap us in a pointless and fruitless exercise of ranking the importance and virtuousness of various group claims among the multiple injuries inflicted upon the entirety of humanity by capital on a daily basis. Only a working class that is uncompromisingly putting forward the defense of its living and working conditions can overcome the divisions forced onto us by bourgeois politics and offer a way out of this morass. A genuinely proletarian movement will necessarily include the struggle against all forms of oppression and prejudice, because the proletariat, as Marx put it, is “an estate which is the dissolution of all estates, a sphere which has a universal character by its universal suffering and claims no particular right because no particular wrong, but wrong generally, is perpetuated against it”. In sum, the working class will overcome the manifold divisions within its ranks because it will need to understand them both as obstacles to its immediate struggle, which must tend towards increasing unification, and as barriers to the conquest of real freedom, defined as the ability to achieve our individual potential in a world that has finally become humanized. In framing support of Israel as a matter of “dual loyalties,” Omar and Tlaib reveal their own will to power to act as judges of what constitutes real loyalty to the US state, not to mention effectively calling into question the patriotism of all those with dual or multiple citizenships, an increasingly prevalent phenomenon in a globalized world characterized by mobility and migration, which the bourgeois left generally celebrates. Previously, denunciation of the loyalties of dual citizens had been the province of the “right-wing,” such as Fox News host Tucker Carlson. The hypnosis trope appears to reflect a certain idiom Omar learned somewhere. While this is not enough to pass definitive judgment on her intentions, it certainly raises questions about her influences. In any event, most Democrats’ and leftists have little problem finding something racist even in Trump’s more subtle comments, but when it came to addressing one of their own’s questionable use of tropes, many preferred to circle the wagons. Conversely it may be the case that in Eastern Europe, anti-Semitism is currently more a feature of the populist right, but its clear that neither side of the traditional division of bourgeois politics has a monopoly on it. See for example the Pittsburgh Synagogue shooting, in which the perpetrator appears to have been motivated by right-wing conspiracy theory around George Soros’s activism in pushing global migration. For example, the increasing availability of Spanish language services in the public sphere in the United States does nothing for those who speak Portuguese—except that for reasons of geographic and linguistic proximity they might also speak some Spanish and therefore they can struggle to get services in a language that is not quite their own and which has, in the terms of identity politics, itself become “hegemonic” in relationship to their Lusophonic identity. Interestingly, the issue of language hegemony and inclusivity is not something entirely foreign to the workers’ movement, as prior debates over Esperanto demonstrate. In fact, it may be the case that these kinds of “What about us?” claims lie at the heart of the so-called “white identity politics” that appeal to Trump voters. 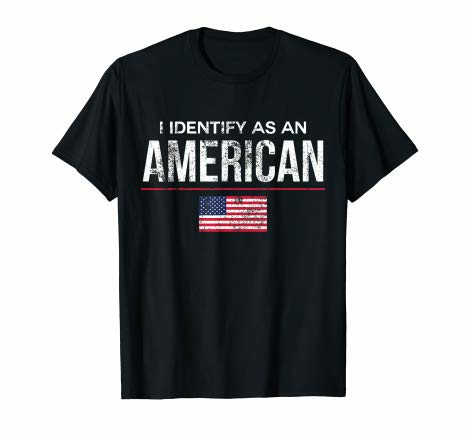 In a culture that increasingly gives recognition and assigns public virtue to the claims of groups with all sorts of hyphenated identities, the populist rallying cry of “What about regular/real/true American citizens?” expresses something meaningful to those with no other politically marketable identity to deploy and no particular group grievance to claim.